More details, interview links, and an excerpt may be found here. Will Duquette: I'm getting a copy for every member of my RCIA class. Brandon Vogt: If you want to be a happy Catholic, you need to encounter Jesus. And if you want to encounter Jesus, read this book. Mike Aquilina: This book is a joyful pilgrimage to the Father, made with the most amazing companions. Highly recommended. Jeff Miller: Julie has a Chestertonian ability to see things afresh and to illustrate that freshness to you. Elizabeth Scalia: In our fast-paced world, we love the pithy phrase, but we’re forever sharing or re-tweeting and then moving on. 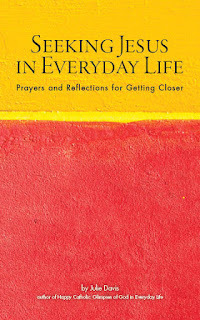 In this book Julie Davis takes those phrases and helps us become closer to Christ Jesus. 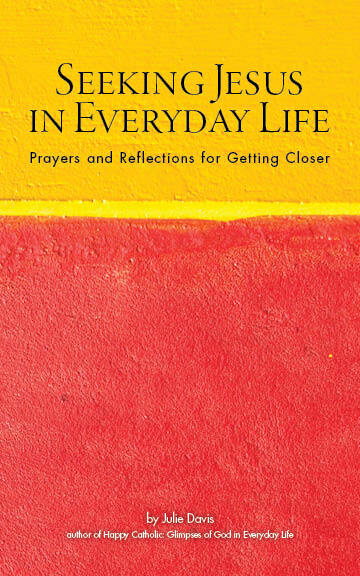 Scott Danielson: From the very first page, where I was gently told to “listen”, my prayer life was improved. Is there anything more desirable? What a gift. Sarah Reinhard: Julie Davis has put together a gem that is more of an experience than a book. Jennifer Fitz: Are you ready to hit the reset button on your practice of the faith? Here it is. Katherine Lyle (Amazon): It’s a beautiful read that will make you fall in love with Jesus all over again. I cannot recommend this book enough! Gary Jansen: If you’re seeking God or feel lost on your spiritual journey, this book is a compass to point you in the right direction. Julie Davis taps into quotes not only from Scripture and John Paul II but from The Simpsons and The Princess Bride, and doing so she discovers that all around her are glimpses of God. More details and an excerpt may be found here. Mike Aquilina: "My wife is quoting you at me." Jennifer Fitz: "It’s a textbook on critical thinking in disguise." Sarah Reinhard: "Davis, as she does so often in her other pursuits, reminds us that faith and life cannot be separated." The Curt Jester: "I simply loved this book." The Anchoress: "A scrappy little volume ... seasoned with Julie's own sauce." Mrs. Darwin: "It's pretty compulsively readable." Kate Wicker: "...even pop culture can't escape the wisdom of God." Joseph R.: The uniting thread is the underlying truth found in all of these: how God touches our lives in the most remarkable and most mundane ways. Ironic Catholic: I rejoiced!, because...she cut through all the dreck for me! 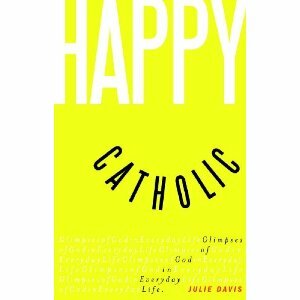 Danusha Goska: "Happy Catholic" is accessible, likable, friendly, no-fuss, in places, surprisingly challenging, even prickly, laugh-out-loud funny, and thought-provoking.